Since March 2006, Mr. Sullivan has been a director of Legacy Reserves GP, LLC, which is the general partner of Legacy Reserves LP (NASDAQ: LGCY), a limited partnership focused on the acquisition and development of producing oil and natural gas properties. From February 2007 until May 2015, Mr. Sullivan was a director of Targa Resources GP LLC, which is the general partner of Targa Resources Partners LP (NYSE: NGLS), a midstream natural gas limited partnership engaged in the business of gathering, compressing, treating, processing, and selling natural gas, and fractionating and selling natural gas liquids and NGL products. Mr. Sullivan has been a director since August 2007, and Non executive Chairman of the Board since May 2015, of Tetra Technologies, Inc. (NYSE: TTI), an oil and gas services company. Since June 2011, Mr. Sullivan has been a director and member of the audit committee of CSI Compressco Partners GP, Inc., which is the general partner of CSI Compressco, L.P. (NASDAQ: CCLP), a publicly traded limited partnership providing wellhead compression based production enhancement services. CSI Compressco GP, Inc. is a minority owned subsidiary of Tetra Technologies, Inc. Mr. Sullivan was with Anadarko Petroleum Corporation from 1981 to August 2003. 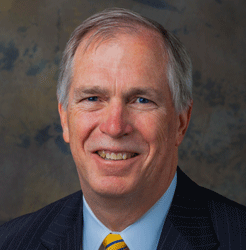 From August 2001 to August 2003, Mr. Sullivan was Executive Vice President, Exploration and Production at Anadarko. Mr. Sullivan also served Anadarko as Vice President, Operations—International, Gulf of Mexico, and Alaska in 2001, Vice President—International Operations from 1998 to 2000, Vice President—Algeria from 1995 to 1998, and Vice President—U.S. Onshore Operations from 1993 to 1995. Mr. Sullivan has been a director since 2004, and currently serves as Chairman of the Board and Chairperson for the Executive Committee. Ms. Bailo served as Senior Vice President, R&D Americas for Nissan North America, Inc. from 2011 – 2014. She joined Nissan in 1989 and held various engineering and management positions prior to her appointment as Senior Vice President. 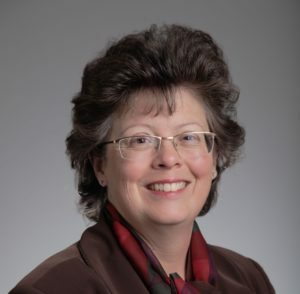 Ms. Bailo currently serves as the Chief Executive Officer for the Center for Automotive Research. Ms. Bailo will serve as an independent director and as a member of the Audit Committee of the Board of Directors. Larry Bickle is a retired private equity investor. From June 2005 to April 2007, he was executive in residence for Haddington Ventures, LLC, a private equity fund that invests in midstream energy companies and assets. Prior to that, he was managing director of Haddington from June 1997 to 2005. From 1984 to 1997, he was chairman of the board and chief executive officer of TPC Corporation (formerly Tejas Power Corporation), a NYSE-listed gas storage, transportation, and marketing company that he founded. He also serves as a member of the Board of Managers of Quantum Natural Gas Storage, LLC. Mr. Bickle has been a director since 1995 and currently serves as a member of the Audit Committee and a member of the Compensation Committee. 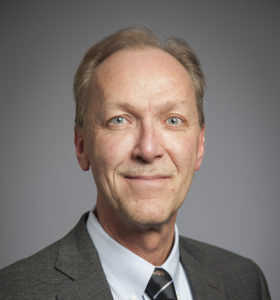 Dr. Stephen Brand is currently Senior Executive Advisor of Welltec A/S, a privately held Danish corporation that develops and provides well technology and related services for the oil and gas industry. Dr. Brand is a director of GeoScale, a privately held firm that provides advanced technology solutions and services to the E&P sector for solving subsurface problems in complex geologic formations. He is also on the Advisory Board of OmniEarth, which provides advanced analytics of earth imaging and offers a unique solution as a service platform to assess and manage data that can be used in a predictive role. Dr. Brand has over 38 years of experience in the energy industry, including extensive experience in exploration, upstream business development, upstream project development and research and development in upstream and downstream technologies, as well as innovative technology research programs in algae biofuels, nanotechnology, low carbon hydrogen, organic solar cells, CO2 capture and dieselization. From 2007 through 2010, Dr. Brand was Senior Vice President, Technology (R&D) for ConocoPhillips (NYSE:COP). He served as Vice President, Exploration and Business Development at ConocoPhillips from 2005 to 2007. Dr. Brand started his career in 1976 as a geologist with Phillips Petroleum Company, and thereafter served in various roles of increasing responsibility within Phillips Petroleum Company and its successor, ConocoPhillips, including serving as President of its Canada and Australasia businesses. He received his B.A. in geology from the University of Minnesota, Duluth, and received his M.S. and Ph.D. degrees in geology from Purdue University. Dr. Brand has been a director since 2011 and currently serves as Chairperson for the Compensation Committee and as a member of the Nominating & Corporate Governance Committee. 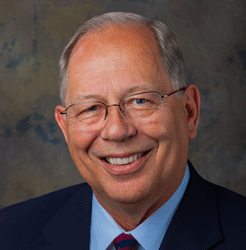 Loren Leiker was an oil and gas executive with EOG Resources, Inc., until his retirement in September 2011. EOG is one of the largest independent oil and natural gas companies in the United States. Mr. Leiker served EOG as Senior Executive Vice President of Exploration from February 2007 to September 2011. Prior to that appointment, he held a variety of executive officer positions with EOG and its predecessor, Enron Oil and Gas Company. Mr. Leiker started his career in 1977 at Tenneco, Inc., where he held a variety of domestic and international technical and managerial roles until the sale of the company in 1989. Mr. Leiker has been a director of Vermilion Energy Inc. (VET: Toronto) since December 2012, a director of Navitas Midstream Partners since May 2014, and served as a director of Midstates Petroleum Company, Inc. (NYSE: MPO) from December 2011 until his resignation in March 2015. Mr. Leiker has been a director since 2012 and currently serves as a member of the Nominating and Corporate Governance Committee, the Audit Committee and the Executive Committee. 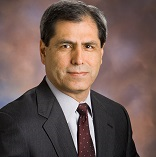 Mr. Peru served as Executive Vice President and Chief Financial Officer of Phelps Dodge Corporation from 1999 to 2007. He joined Phelps Dodge in 1979 and held various finance and accounting positions prior to his appointment as Chief Financial Officer. 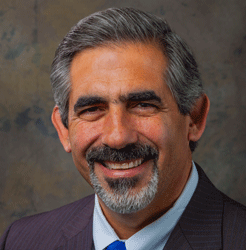 Mr. Peru currently serves on the Boards of Directors of Anthem, Inc. and UNS Energy Corporation. Mr. Peru has been a director since 2014 and currently serves as a member of the Compensation and Audit Committees. Rose Robeson served as Senior Vice President and Chief Financial Officer of DCP Midstream GP, LLC, the General Partner of DCP Midstream Partners LP, from 2012 until her retirement in 2014. 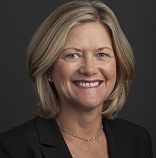 Ms. Robeson also served as Group Vice President and Chief Financial Officer of DCP Midstream LLC from 2002 to 2012. Prior to her appointment as CFO of DCP Midstream LLC, Ms. Robeson was the Vice President and Treasurer. Prior to joining DCP Midstream, LLC, Ms. Robeson was with Kinder Morgan, Inc. (formerly KN Energy, Inc.) from 1996 to 2000 and held the position of Vice President & Treasurer. 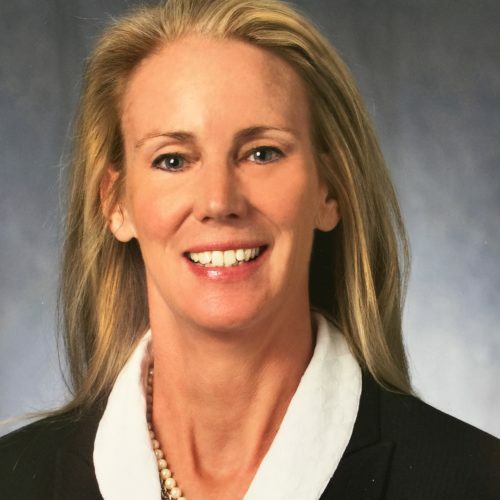 Ms. Robeson has served as a director of American Midstream GP, LLC, the general partner of American Midstream Partners, LP (NYSE: AMID) since June 1, 2014, and as a director of Tesco Corporation (NASDAQ:TESCO) since October 29, 2015. Ms. Robeson has been a director since 2014 and currently serves as Chairperson for the Audit Committee and as a member of the Executive Committee and the Nominating and Corporate Governance Committee. 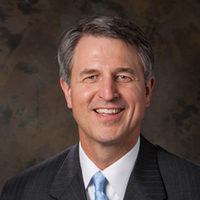 Mr. Copeland joined the Company in January 2011 as Senior Vice President and General Counsel. He was appointed as the Company’s Corporate Secretary in July 2011 and its Executive Vice President in May 2013. Mr. Copeland has over 31 years of experience in the legal profession, including over 22 years as internal counsel for various energy companies. Prior to joining the Company, he co-founded Concho Resources Inc., in Midland, Texas, where he served as its Vice President, General Counsel and Secretary from April 2004 through November 2009, and then as its Senior Counsel through December 2010. From August 1997 through March 2004, Mr. Copeland served as an executive officer and general counsel of two energy companies he co-founded in Midland, Texas. 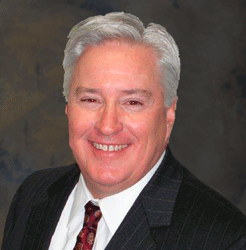 Mr. Copeland started his career in 1982 with the Stubbeman, McRae, Sealy, Laughlin & Browder law firm in Midland, Texas. 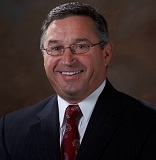 Mr. Pursell joined the Company in September 2008 as Executive Vice President and Chief Financial Officer. He was Executive Vice President and Chief Financial Officer for Helix Energy Solutions Group, Inc., a global provider of life-of-field services and development solutions to offshore energy producers and an oil and gas producer, from February 2007 to September 2008. From October 2000 to February 2007, he was Senior Vice President and Chief Financial Officer of Helix. He joined Helix in May 1997, as Vice President—Finance and Chief Accounting Officer. From 1988 through May 1997, Mr. Pursell was with Arthur Andersen LLP, serving as an Experienced Manager specializing in the offshore services industry. 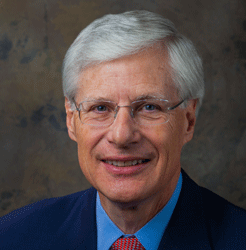 Herb Vogel was appointed Executive Vice President – Operations in August 2014. 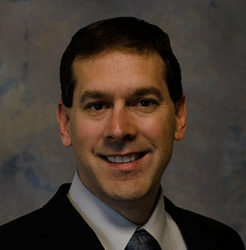 He joined the company in March 2012 as Senior Vice President – Portfolio Development and Technical Services. Mr. Vogel has more than 30 years of experience in the oil and gas business and joined the Company after his retirement from BP, where he most recently served as the President of BP Energy Co. and Regional Business Unit Leader of North American Gas & Power. Previous roles included COO – NGL, Power & Financial Products in Houston, Managing Director Gas Europe & Africa in London, and Sr. VP of the Tangguh LNG Project in Indonesia. Mr. Vogel started his career as a reservoir engineer with ARCO Alaska, Inc., and progressed through a series of positions of increasing responsibility in engineering, operations management, new ventures development, and business unit management in ARCO and BP. Mr. Vogel received his B.S. in Mechanical Engineering from the University of Colorado in 1982 and his M.S. in Mechanical Engineering from the University of Texas at Austin in 1984. 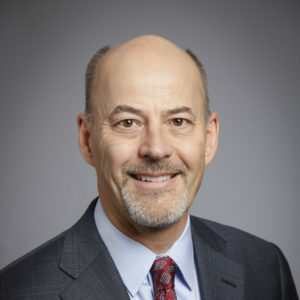 Kenneth J. Knott was appointed Vice President of Business Development and Land and Assistant Secretary in August 2008 and Senior Vice President in 2014. Mr. Knott joined St. Mary Land & Exploration Company in November 2000 as Senior Landman for the Gulf Coast Region in Lafayette, Louisiana, and later assumed the position of Gulf Coast Regional Land Manager when the office was moved to Houston in March 2004. He has 29 years of experience in the energy industry holding various land and business development positions with ARCO, Vastar Resources, BP Amoco and SM Energy. Between 1987 and 1993, Mr. Knott was responsible for land and business development activity at ARCO in several geographic areas such as Permian, Mid-Continent, Rockies, Michigan and California. Upon ARCO’s spin-off of Vastar Resources in 1993, he joined Vastar as a Senior Landman working the Gulf Coast and Gulf of Mexico regional assets until 1999, at which time he assumed the role of Director of Business Development for the Gulf Coast Region. He remained in that capacity until the merger of Vastar Resources and BP Amoco in September 2000, whereby he assumed a Senior Landman position working the Gulf Coast Region. 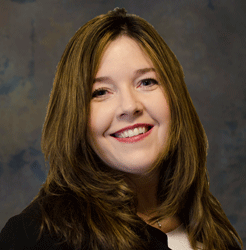 Mary Ellen Lutey was appointed Senior Vice President and Regional Manager – South Texas & Gulf Coast in July 2015. Ms. Lutey joined SM Energy in June 2008 as North Rockies Asset Manager, where she managed the Company’s activities in the Williston Basin including the significant growth of the Bakken/Three Forks resource play. In December 2012, she was named Vice President and Mid-Continent Regional Manager. Prior to joining SM Energy, Ms. Lutey held various technical and managerial positions in several regions of the United States and Canada. She was a Senior Reservoir Engineer with Chesapeake Energy Corporation from September 2007 until June 2008, where she was responsible for the resource development of the Fayetteville Shale in Arkansas. Ms. Lutey was a Team Lead for Engineering and Geoscience with ConocoPhillips Canada from April 2006 until September 2007, where she was responsible for the technical and business performance of two multi-discipline groups in Western Canada. From July 2005 until April 2006, she was a Team Lead for Engineering and Geoscience with Burlington Resources Canada, where she managed the growth and development of resource plays in Western Canada. From 1994 until 2005, Ms. Lutey held various engineering and leadership positions of increasing responsibility for Burlington Resources. Ms. Lutey graduated with honors from Montana Tech University with dual Engineering Degrees in Petroleum Engineering and Engineering Science. 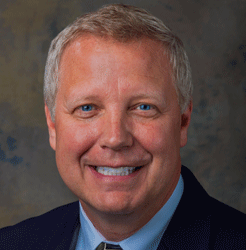 Mr. Newton joined the Company in December 2006 as General Manager for the Midland, Texas office. 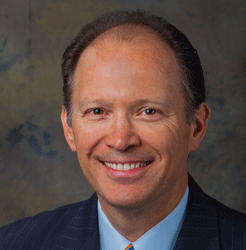 He was appointed Vice President and Regional Manager of the Permian region in June 2007, and was appointed Senior Vice President and Regional Manager in May 2010. Mr. Newton has over 35 years of experience in the energy industry. From November 2005 to November 2006, Mr. Newton served as Project Manager for one of Chevron’s largest Lower 48 projects. Mr. Newton joined Pure Resources in February 2003 as the Business Development Manager and worked in that capacity until October 2005. Mr. Newton was a founding partner in Westwin Energy, an independent Permian Basin exploration and production company, from June 2000 to January 2003. Prior to that, Mr. Newton spent 21 years with ARCO in various engineering, operations and management roles, including as Asset Manager, ARCO’s East Texas operations, Vice President, Business Development, ARCO Permian, and Vice President of Operations and Development, ARCO Permian. Robin P. Diedrich was appointed Vice President of Resources in November 2014. He is responsible for the New Venture Capital Program, Corporate Engineering and Technical Development. Mr. Diedrich joined SM Energy in April 2002 as a Senior Geologist with Nance Petroleum, a wholly owned subsidiary in Billings, Montana. He held various leadership positions and was named District Exploration Manager for SM Energy’s Rocky Mountain Region in 2008. In 2011, he also assumed the responsibilities of the District Business Development Manager, leading a multi-discipline group in new venture and acquisition efforts in Wyoming, North Dakota and Montana. Mr. Diedrich began his career as an Exploration Geologist with Marathon Oil Company in 1981 and gained diverse oil and gas play experience as a Team Leader in the Rockies, the Gulf of Mexico and East Texas. In 1996, he joined The Montana Power Company’s oil and gas division and led the company’s growth efforts in Wyoming’s Green River Basin. 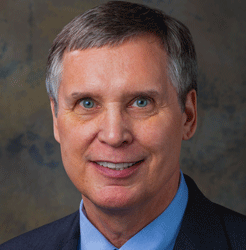 Mr. Diedrich has more than 33 years of experience in the petroleum industry. 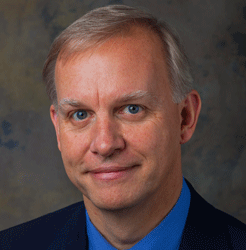 Dean Lutey was appointed Vice President – Information Technology in May 2013. Mr. Lutey joined SM Energy in June 2008 as the Manager of Production Services. In 2009, he was promoted to Director of Information Technology, where he managed the Company’s business processes and technology suite. Prior to joining SM Energy, Mr. Lutey was Manager of IT Service Delivery at Chesapeake Energy Corporation from September 2007 until June 2008. From April 2006 to September 2007, he was the Director of Technical Information Systems for ConocoPhillips Canada. Mr. Lutey started his career in 1995, when he joined Burlington Resources, where he held multiple positions in both the United States and Canada. Mr. Lutey earned a Bachelor of Science degree in Liberal Arts from Excelsior College. Jennifer Martin Samuels was appointed Vice President – Investor Relations in February 2018. Ms. Samuels joined the Company in 2015 as Senior Director – Investor Relations. 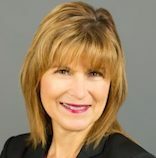 Ms. Samuels has more than 27 years of corporate finance experience including strategic planning, mergers and acquisitions, and investor relations. Prior to joining the Company, Ms. Samuels was Vice President of Investor Relations at Bill Barrett Corporation from 2007-2015 and previous to that held Vice President positions in Planning and Investor Relations at AIMCO. Ms. Samuels started her career with Apache Corporation. Ms. Samuels holds a Master’s Degree in Business Administration with a concentration in Finance and a Bachelor of Arts degree in French & Business, each from the University of Colorado at Boulder. David Whitcomb was appointed vice president of Marketing in August 2008. Mr. Whitcomb joined SM Energy in November 1994 as Gas Contract analyst and was named assistant vice president of Gas Marketing in October 1995. In March 2007, his responsibilities were expanded to include oil marketing; at which time his title was changed to assistant vice president and director of Marketing. From 1991 until the time of his employment with SM Energy, Mr. Whitcomb worked for Anderman/Smith Operating Company as a Gas Contract analyst, during which time his primary responsibility was to resolve take-or-pay gas contract disputes. Mr. Whitcomb began his career in the industry in 1986 with Apache Corporation where he worked as an internal auditor for several years and then moved into marketing where he worked as a Gas controller and Gas Contracts analyst. Mr. Whitcomb graduated with a bachelor of arts degree in accounting from St. Cloud State University in Minnesota, and earned his master of arts degree, with an emphasis in finance, from the University of Colorado, Denver.